Zoo keeper, Geraldine Murphy, has had her hands full over the last few weeks as she has been hand-rearing the first ever Chilean flamingos to hatch at Belfast Zoo! 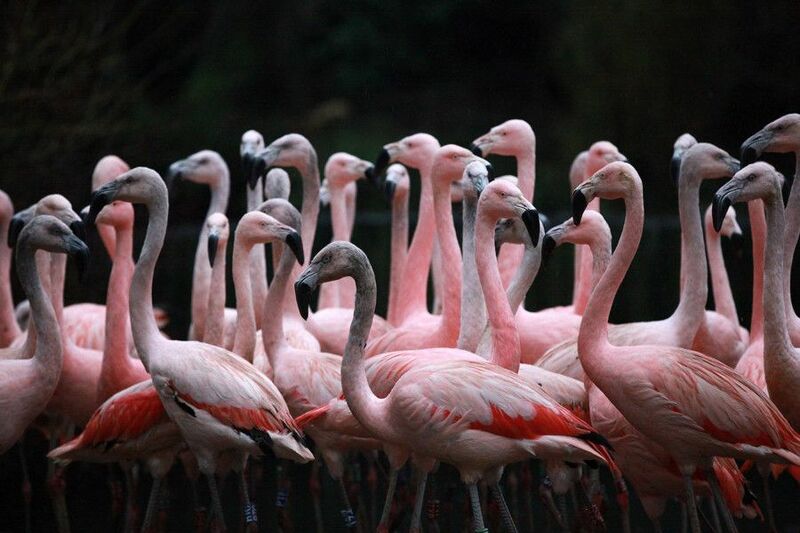 Belfast Zoo has been home to flamingos since the zoo first opened in 1934 but first became home to Chilean flamingos in 2010. However, in this time the birds never laid eggs, despite attempts by the zoo team to encourage breeding behavior. One of the latest arrivals at Belfast Zoo as two Chilean flamingos have hatched. The team installed mirrors in the enclosure to make the birds think that they were part of a much larger flock, but without success. Last year, keepers built artificial nests consisting of mounds of mud measuring 30 to 60 centimetres in height and installed 'dummy eggs', produced by a local woodturner. This had instant success with the birds beginning to display natural courtship behaviours and soon eggs began to appear on the nests.